I am sure some of you have heard the news. For those that didn’t Mojang has recently announced during Minecon that an entirely new game is coming sometime next year called Minecraft: Dungeons! It’s an all-new action-adventure game inspired by classic dungeon crawlers, where you’ll constantly discover new weapons and items that will help you defeat a ruthless swarm of new-and-nasty mobs. You’ll fight or flee through canyons, swamps and – of course – mines! You can brave the dungeons alone, or team up with friends. 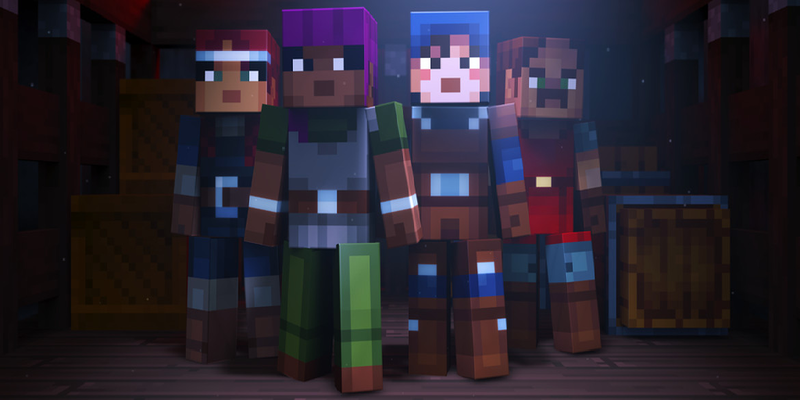 Up to four players can battle together through action-packed, treasure-stuffed, wildly varied levels, all in an epic quest to save the villagers and take down the evil Arch-Illager! We over at Apex are completely blown away and really excited to see what more the game has to offer in the future and are sure you are too! Be sure to checkout the trailer below and full news posting here!